What is a benevolent leader, anyway? Let’s start with a dictionary definitions and move from there. A leader is someone who leads or commands a group, organization, person and I’ll add an animal. There are leaders of music bands, in government, companies, ducks, lead mares and stallions of their herd, parents are leaders and there are many of us who are very successful at being a dog’s leader, too. You can be one too. The definition of benevolent is expressing goodwill or kindly feelings. So, if the word leader strikes a negative chord with you, please let that one go, and read on. A prime example of benevolent leadership is a willing partnership; (leaders and followers) and has nothing to do with dominance. In order to have a leader there must be followers. When we are teaching dogs we are their leader, in so much as, they are willing followers or partners in the game of teaching. We are benevolent leaders and our partners are our dogs. When we lead, we control. So, let’s define control; the power to influence or direct behavior. A Gentle Leader is a tool to help control dogs, as well as collars/leashes, harnesses, and a treat or a ball are also tools. They are tools used to maintain control, the end goal or ideal is to be able to maintain control without any devises. Yet, we must start somewhere, knowing that our end goal is to enjoy a partnership with dogs being their benevolent leader. If you make your dog wait until you let her in or out of a doorway before you; are you the dogs leader? If you make your dog eat after you; are you the leader? If you have your dog walk on the leash beside you, are you the leader? How many of you do these exact things and still have a dog who has problems, like jumping on people, pulling on the leash, barking, destructive behavior, begging for food, needing to be crated when you have company, etc. no matter what you’ve tried to do to stop them? If having your dog wait at doors, eat after you and walk beside you, makes you a leader then why do you have a problem dog? Because doing these things with your dog, doesn’t make a leader. 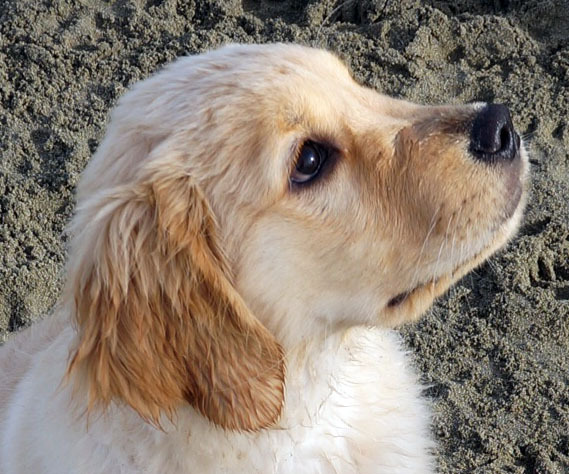 Leaders know without a doubt, that dogs have emotions and take great care and concern never to harm them and learn to understand them by learning their language; which is learning how to read dog body language. They also know that being aware of their own body language, energy and tone of voice is key to connecting with dogs. A leader is someone who spends time teaching dogs what they want them to learn, instead punishing them for things they don’t like. They know that all animals learn best using the theory of learning, which is based on proven scientific methods. The major influence on human behavior is learning from our environment. In the Skinner study, because food followed a particular behavior the rats learned to repeat that behavior, e.g., operant conditioning. There is little difference between the learning that takes place in humans and that in other animals. Therefore, teaching dogs is a step by step process of getting the dog to understand what you are trying to teach….s-l-o-w-l-y, consistently, without harm and using a rewards based teaching program to achieve the desired results. A leader finds out what motivates their dog. There are all kinds of motivators; food, toys, games, walks, swimming, etc. I was working with a dog who was so afraid of a leaf blower and became aggressive towards anyone using a blower. This dog was over the top excited about playing frisbee, so I paired (learning theory) playing frisbee with the blower. I set the blower in the yard for a few days, while playing frisbee. After a couple of days, I picked up the blower (not turning it on) and played frisbee. The I started it and threw the frisbee a few times, increasing the amount of time I had the blower on, all the while throwing the frisbee. I stopped for a couple of days and then just went out, turned the blower on and threw the frisbee a few times. He never blinked and eye from the beginning of this training process and I can now use the blower and he’s perfectly fine, no aggressive lunging or barking. He doesn’t like it, so he moves away and just watches with my other dogs. Another dog may be more food motivated. 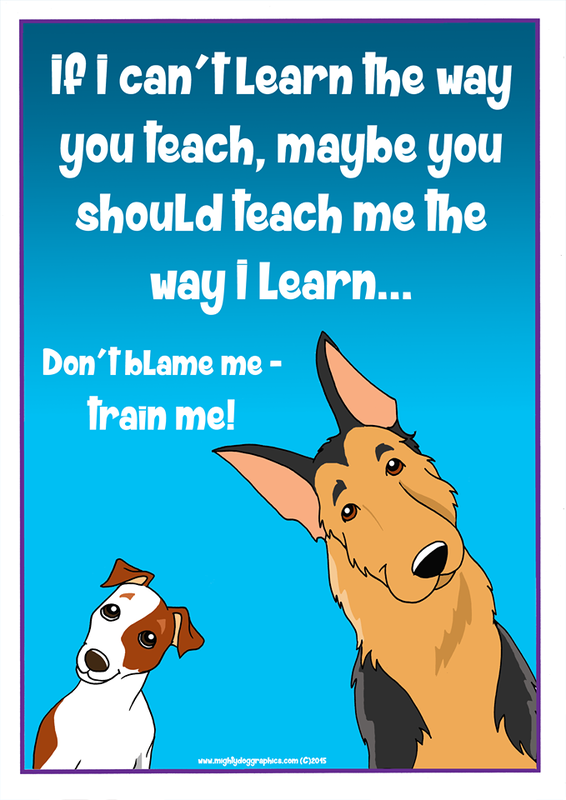 So, finding out what motivates your dog will be key in enjoying success in teaching your dog. Leaders are keen observers of how their dog moves through their world, so they can know how be better teachers. By this, I mean that if you notice that your dog gets nervous in crowds, you would take the appropriate actions to help alleviate your dogs stress, not force her to go into crowds, rather use the learning theory, and change the association to alleviate the anxiety. 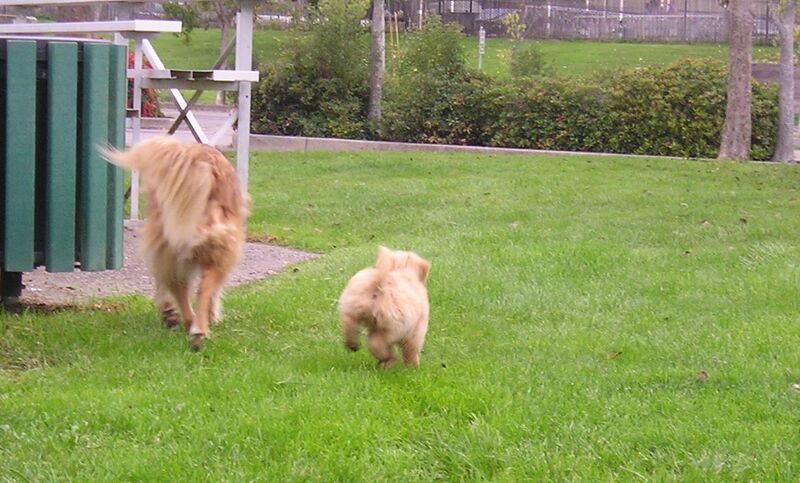 A leader understands that connecting with dogs is done without the use of harsh/aversive equipment. They know that patience and understanding will create a more enthusiastic and willing dog and this, will strengthen the human-dog bond. Leadership has nothing to do with physical might and force, never, not even with a large breed dog; not even with an aggressive dog (especially with an aggressive dog). There is never a reason to use force. If you’re still of this ilk, please go back to the link above and read about the learning theory that works for all animals. I work with horses as well and I can tell you that there is no way that I can out-muscle a horse. Thankfully, it’s not about muscle or harsh tools. It is about understanding their language, connection, positive intention, preparation, timing and reward. It is the same, whether it is a Toy Poodle or a Great Dane. It’s about mental muscle, not physical muscle. Knowing this is the key to being a successful benevolent leader in your partnership with your dog.